Here are a few of the films coming up in the next few months. Any of them peak your interests? 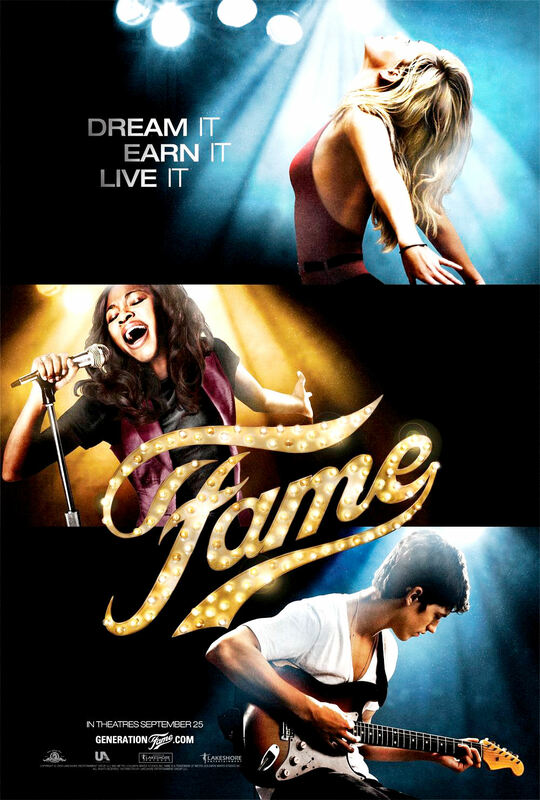 A remake of the 1980 hit, Fame tells the story of a group of accomplished young actors, dancers, singers and musicians as they study at a prestigious and avant garde High School. The students must deal with love, intense competition and rejection as they learn who they want to become and if they can succeed in such cut-throat industries. The original film was known for being fairly depressing, but there have been rumors that the remake will be much more upbeat. Debbie Allen, Kelsey Grammar and Megan Mullally star. Based on the 2005 comic series by Robert Venditti, Surrogates shows us a future where all human beings stay in the safety of their homes, connected to a computer, and live through androids of themselves that they control. 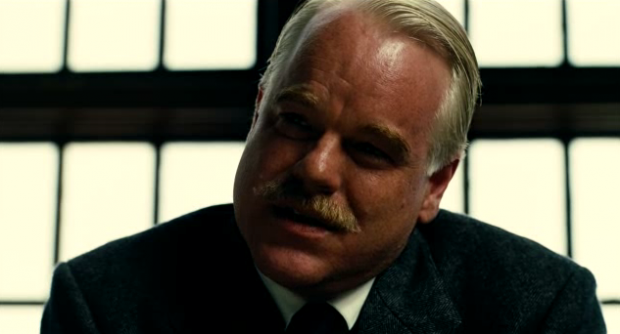 If you’re surrogate dies, you just get another one. Crime is almost entirely obliterated and you are able to stay young and beautiful. But when citizens start dying along with their surrogates, one FBI agent is forced to decipher the mystery. Personally, I might wait for it come on DVD, but it looks like a smart, innovative thriller. Bruce Willis stars. Ricky Gervasis stars as Mark, an actor living in an alternate universe where no one lies (or understands the concept of lying). When Mark discovers that he CAN lie (and what lying is), no matter how wild his lies are, those around him believe it as fact. He immediately starts to use it for his own gain in his career and love life. But it doesn’t take long until his lies start to pile up. 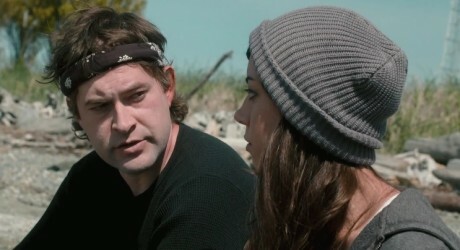 I loved Gervasis in the original The Office (which he also created), so I am excited for this movie. The concept is a little out there, but I think it will come down to the actors and how well they can embrace this very unique universe. Jennifer Garner, Johah Hill and Rob Lowe also star. A new addition to the growing genre of “Zombie Comedy”, Zombieland follows a post-apocalyptic band of survivors as they fight to protect themselves from the growing undead population. As they drive through America to find a safe haven, they stop at a amusement park, but they’re not alone. After Shaun of the Dead (in my opinion, one of the funniest comedies of this decade), I’ll give any comedy involving flesh eating monsters a chance. I have heard the zombies are faster than the traditional undead (think 28 Days Later), which kind of rubs me the wrong way, but I’m still planning on giving this one a go. Woody Harrelson, Jesse Eisenberg and Abigail Breslin star. Based on the classic children’s book, Where the Wild Things Are focuses on Max, a little boy who runs away from home and discovers an island inhabited by monsters looking for a leader. After being chosen as their king, Max decides to create a kingdom full of adventure and happiness, the things he longs for himself. I’ve already mentioned my love of the movie’s first trailer and I’m still very enthusiastic about this film. The cast is top notch and I am anticipating great things from this movie. Catherine Keener, James Gandolfini and Forest Whitaker star. Adapted from the 2nd book in Stephanie Meyer’s series, the film begins with a close call between Bella and Edward’s brother, who can not control his vampirism. Scared for her safety, Edward leaves, causing Bella to rebel and do riskier and riskier stunts. With this rebellion comes her friend Jacob, whose family is much more than they seem. I have no real affection for this series, but I also didn’t completely hate the first movie. I’m not planning on seeing this in theaters, but fans of the series will surely be giddy and gleeful by the time New Moon premieres in November. Robert Patterson, Kristen Stewart and Dakota Fanning star. Which one do you want to see most? Next Article Why 3D? Why now? But I'm anxious to see "does right by" the original children's book. i want to see the first three the most! can't wait to read your reviews! I am very excited for New Moon to come out already. It was by far my favorite of the series. Something about Bella and Jacobs storyline. I can't get enough of it. I thought that they made Bella's friends in Twilight really cheesey (bad jokes, bad slang) in the movie I'm sure it will be a great.